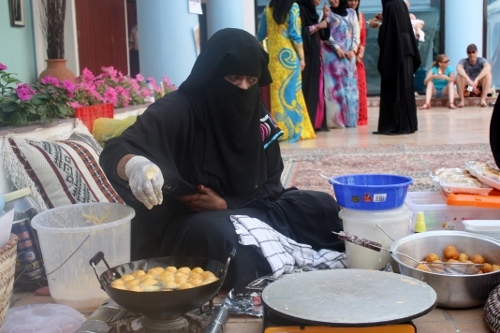 These pictures from The Hilton in Fujairah, depicts a local lady in niqab making the duplings. The local womens college had a little project at the hotel and it was to show the tourist the local culture. It looked so easy, but as you can see from my little duplings it was not. She got nice even shapes to hers. I got a recipe but instead of making my own syrup I used store bought maplesyrup. 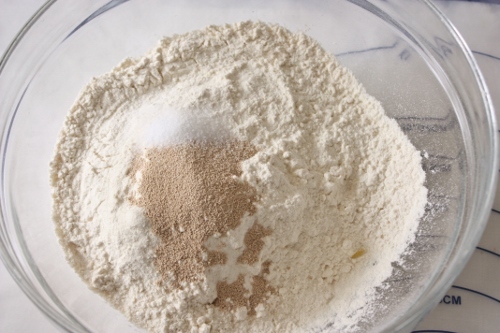 Sift dry ingredients into bowl. 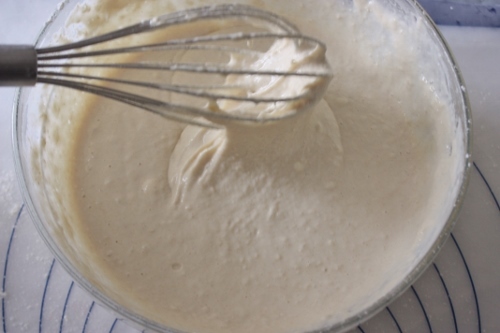 Add in yoghurt and milk, mix until mixture is not watery and not too thick. Just somewhat thicker than a pancake batter consistency. 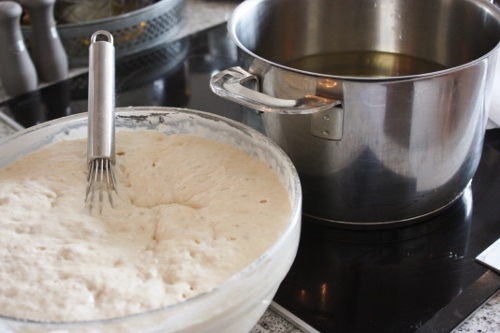 Rest this batter, allowing it to rise in a warm place for 1/2 an hour. 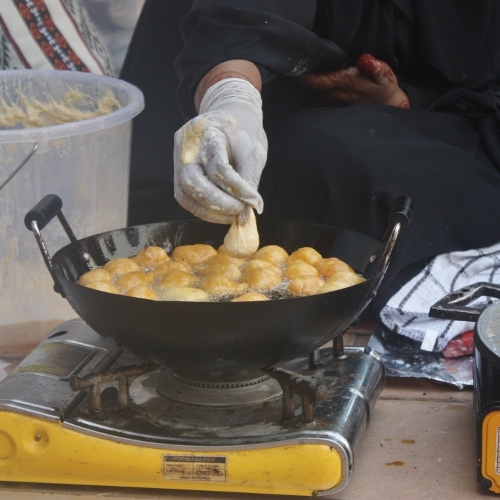 Heat oil and when it is hot, drop a teaspoonful of the batter and cook until it is golden brown. 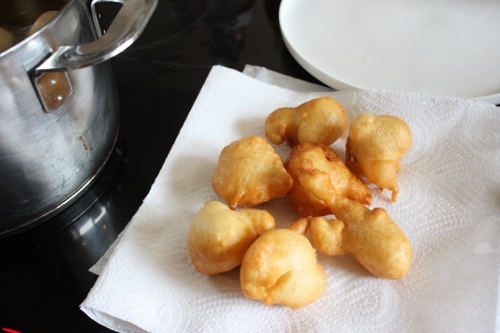 Well, mine did not turn out as nice and round as the lady’s in Fujairah:(but it was my first attempt making these. 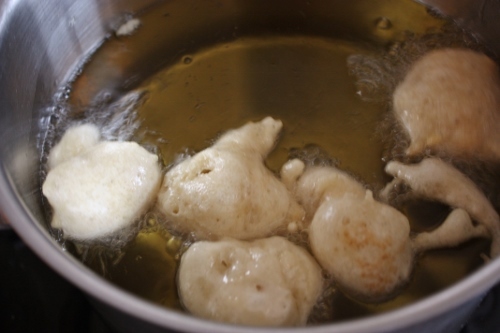 Drain the oil and place immediately into the sugar syrup and toss it well, allowing it to coat the dumpling. When coated completely remove and place on a serving dish. Best eaten warm. 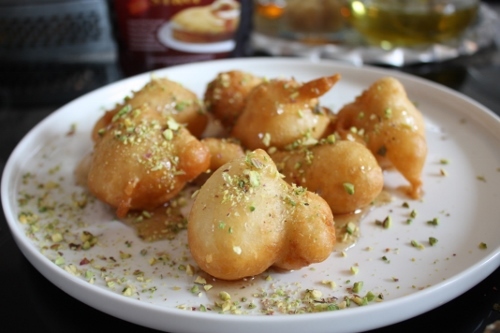 Garnish with pistachios. 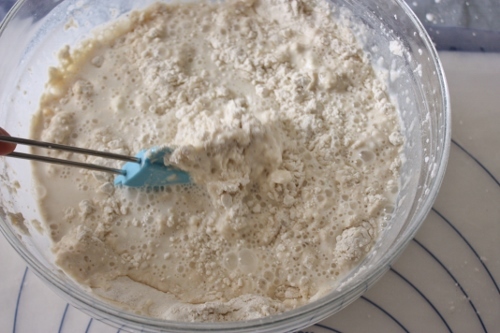 Boil water and sugar together on low heat without stirring (so that it’ll stay clear) until it reaches the point where it cools on the spoon, and forms a thick, sticky consistency.